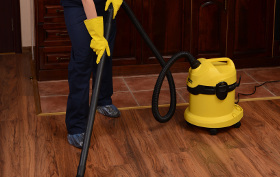 To have a quote for our one time cleaning service, make contact with us at: 020 3746 3201 or by filling in our free quote. Better Cleaning Company chooses its cleaners only based on personal references from trustworthy sources. We perform a thorough history check for all our workers. They are all diligently qualified to work using our cutting edge cleaning gear, tools, and Prochem accredited solutions. Our one off cleaners South East London SE deliver an exceptional one off home, spring and builders cleaning service, and execute their task in compliance with the quality and safety sessions of our professional cleaning company. All of our services are fully covered with insurance. Our cleaning technicians are specialized in offering adequate spring cleaning in South East London SE. You can use our services ahead of, during or right after the spring season to wash just about any part of your home in a professional way. You may select from our specific one off cleaning checklist, and get our cost-effective service as longas you want. If you mix this service with 1 or even more of the many other services that we deliver, we may offer you discount of up to 15%. If you are there at the time that the cleaners come they will begin by checking that things haven't changed since you specified your demands. They’ll make a fast check in your property and confirm if they can complete all the tasks identified. You could change your demands if there’s too much to be done within the time you have. We give quick appointments via phone 020 3746 3201 or via our booking form. You will get a written affirmation within two hrs. Our one off cleaning South East London SE company also offers you bank holiday and weekend availability. For urgencies, you can count up on us arriving quickly too! No advance payment is required for booking our service. You usually pay once the service has been carried out. why not make an appointment our one off cleaners right now!